Having an active website is important for any business today. According to a study done by Nielsen, 85 percent of consumers use the internet to find a local business. Without an active online presence, customers won't even know about you, resulting in the loss of possible business. 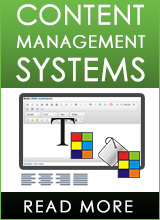 CMS allows you to manage your website – yourself. 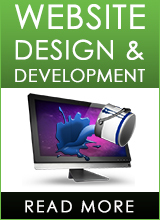 With our CMS you can edit the content of your website yourself. The advantages of a CMS website goes far beyond the ability of just managing website content, your website can now be leveraged to create sustainable relationships with your customers. 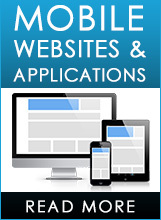 Mobile Website: As the use of smartphones and tablets increase, so does the importance of mobile-friendly websites. Mobile Application: Through mobile app development, a brand can be built and market value can be increased for your business. 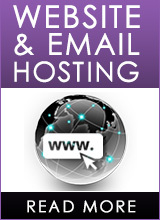 Renting, rather than owning, servers and utilizing the powerful website management tools at our disposal we are able to offer a world class service (99.9% uptime) at highly competitive hosting package rates. 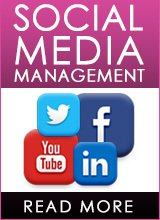 With over 3 billion internet users worldwide, a social media presence is no longer just an option for a business – it's a must. Our services include building a social networking page that will strengthen your relationship with your customers, as well as page monitoring and management, with regular posts. Keeping in touch with your clients and having them in touch with you has never been easier. 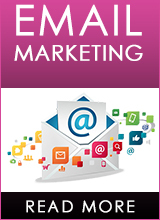 With WebEasy's Easymail packages you are given the power to reach a targeted market audience efficiently and with minimal expenditure.